What will be the lettergate impact on media reform? Pope Francis, why do Eastern Churches matter in the end? Synod on young people, what will it look like? The last week of Lent concluded with a “pre-Synod” gathering of young people meant to provide the fathers of the Synod on the young people, scheduled for October, with the youth’s point of view on the Church. At the end of the gathering, a document was drafted collecting all the topics under discussion. The document has in fact a problem. And the problem lies in the questions posed. The document is divided in three parts, and it really does present the aspirations of the youth. These aspirations are however filtered through the facilitation and the questions posed. The document was probably not pre-conceived, but de facto it seems to displace the evangelizing mission of the Church. 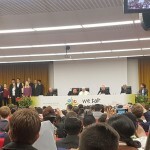 On the one hand, the document presents all the young people’s concerns: their feeling of being “within the Church” and not opposed to the adults, their confidence in willing to take leadership responsibilities, their request for transparency and credibility from the Church’s leaders, the need for an appealing Church. The problems lie behind these issues, though. Both the lineamenta (guidelines) and the preparation of the Synod on Youth has played out in terms of sociological surveys. These were also the premises for the pre-Synod, and for the drafting of the document. The document goes on, making a brief reference to the prudent use of new technologies, bioethics issues and the scandals of the Church that condition the trust of young people, and then it gets to the core issues. These assessments have all the characteristics of a poll, rather than a discussion on faith. On the one hand, young people have been made part of a Synod process, and they have been main actors of this process. On the other hand, it almost seems that their presence is limited to the need to justify a change of direction for the Church, or at least to justify why some topics have become prominent. When the document stresses what young people feel involved in, it just looks for topics of interest to orientate preaching. When it gets to moral issues, the document underscores that young people want the teaching to be changed, or at least that they could be part of the Church even if de facto they do not follow her teaching. Again, the issue is not about the youth in the Catholic Church. The problem lies in the questions posed, in the way the discussion was oriented. The approach is totally lacking in looking at the experience of God and faith, together with the notion of the reasonability of faith. It does not mean that young people in the Church do not seek these experiences and share these notions. The problem is that these issues were not among the themes presented to the youth. These are the main themes for evangelizing by the Church, encompassing all the important subjects. But just as in communication, including Vatican communication, marketing has replaced the importance of content; in everyday life the sociological categories replaced philosophical ones. Questions about the inner sense of life are missing, while there is a drift toward a general outlook that is lacking in the profound truth. While young people were gathered in a quiet location in Rome, secluded from the world around them, a final report was issued of a survey conducted by St. Mary’s University in Twickenham and the Institute Catholique de Paris. The investigation was about the levels of religious affiliation and practice among 16 to 29 year-olds in 22 European countries. The data provides food for thought: in the Czech Republic, 90 per cent of young people say they to not belong to any religious denomination; in Britain, 70 per cent of young people are with no religion. For what concerns religious practice, only 2 per cent of young people in Belgium attends a weekly Mass, 3 per cent in Austria and Hungary, 5 per cent in Lithuania and 6 per cent in Germany. If there really is a need for a sociological snapshot, this data is the best one. It shows that, in fact, engaging young people is not about what they expect to hear or what are their interests, but about offering a proposal to give a strong sense to their lives. In the end, the risk of the pre-Synod document is that of reducing the Church to a container to be filled according to people’s expectations. Going to the peripheries, which is pure evangelizing, is sort of disincarnated. Peripheries should not be seen just as places to visit. They are rather places to go to in order to share the Gospel. The final question is then: when did the Church lose her evangelizing strength? When was the power of the Gospel put at the mercy of the trends of the time? This is a burning question in Easter time, when the celebration of the death and Resurrection of Jesus epitomizes in one week the full meaning of Christianity. And the question is even more burning if we think of the consequences. That is: how does this urge to size-fit the message of the Gospel to the current times translate into practice? It already happens that, when someone emphasizes the sacred character of the Eucharist, he is labeled an outdated traditionalist. It happened, for instance, with Cardinal Robert Sarah, found guilty of calling for kneeling to receive communion, and for receiving it in the hands. It already happens that, when someone shows his will to stay faithful to the Gospel, he is a labeled a rigid person or a doctrinalist. It happened, and still happens, in the discussion on marriage and on the access to Communion for divorced and remarried Catholics. On these basis, it seems natural that Humanae Vitae issues will also be questioned, with claims that young people do not often understand those teachings, and thus trying to effect a change in doctrine, or in the interpretation of the doctrine, with the excuse of meeting a pastoral need. However, this discussion still misses something. 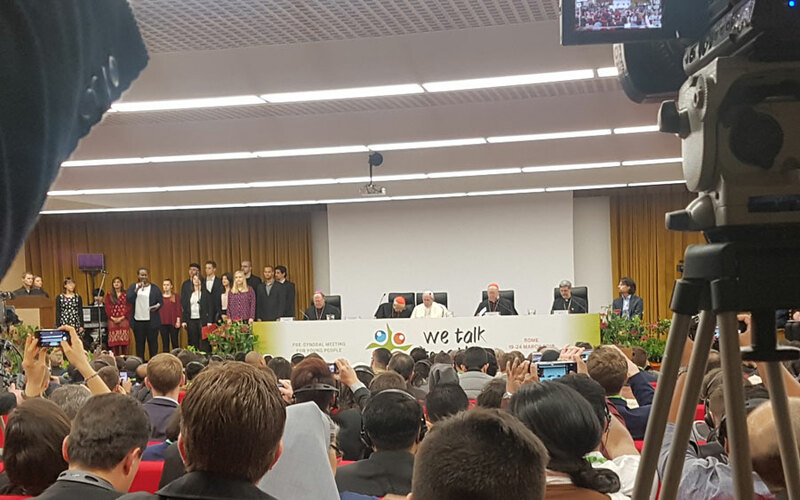 The document on young people – that was even influenced by the the presence in the pre-Synod of non-believers and people from other denominations – questions these teachings, but also asks that the Church explain better her teachings. In the end, even in such a sociological document, you can find a need to comprehend that starts from the heart of man. If during the next Synod the need to explain is subdued to the need for change in order to meet the world’s needs, we will be able to conclude that the Church finally gave up evangelizing. We will have a worldly Church. The exact contrary of what Pope Francis always calls for.